It's a life lesson anyone can live by: if what you're doing isn't working, try something new. That seems to be the motivation behind HP's latest venture into India. Re/code reports that HP has announced plans to re-enter the smartphone market with two new phone-tablet hybrids in India, an emerging market where other major phone manufacturers have also taken their business. HP was once a proponent of touchscreen, PDA devices, but lost its steam after buying Palm in 2010. The company hasn't released a mobile phone since 2009 (though it did release a few tablets, including a few Android-powered ones and the WebOS-powered TouchPad). The two phablet devices coming to India are the 6- and 7-inch Slate 6 and Slate 7 VoiceTab, respectively. The phones run Android 4.2.2 Jelly Bean, feature quad-core processors, and come with 16GB of internal storage, as well as expansion slots. Both devices will be available for purchase next month, though HP hasn't mentioned a price just yet. If you're exhausted by the idea of more large-sized smartphones, you're justified: according to IDC, devices with larger screens, ranging from 5 to 7 inches, accounted for nearly 23 percent of all smartphone sales. It makes sense for a company like HP, which is looking to gain some footing, to go after the low-hanging fruit. It also makes sense that HP is diving into an established emerging market. Samsung and Nokia hover around 15 percent marketshare in India, and numbers like that can make any country seem like a veritable investment to a company struggling for a piece of the pie. Ron Coughlin, senior vice president for the consumer PC business at HP, expressed hope about entering the market overseas, telling Re/code that the devices resonated with India's consumers and that "India had the highest purchase intent." If the company is successful, it's likely it will try on the US for size--again. 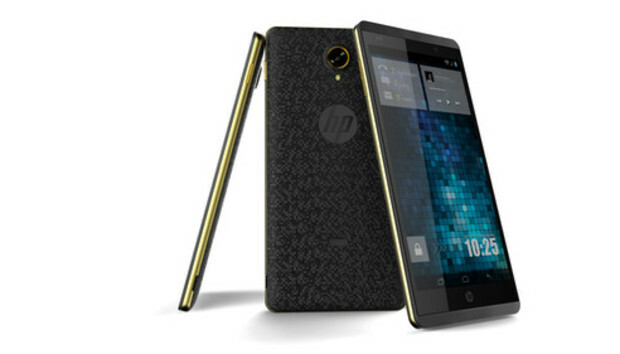 For now, Coughlin said that HP is merely focusing on a successful launch in India.